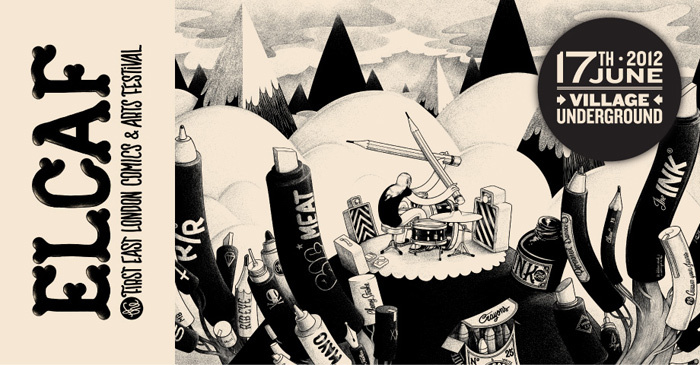 Nobrow 7: Brave New World – Out NOW! Also launched today, the beautiful latest edition of Nobrow, Issue 7: A Brave New World, with work from the likes of Jillian Tamaki, Tom Gauld, Angie Wang, Anders Nilsen, Eda Akaltun, Sam Vanallemeersch, Joost Swarte and many more… get yours now while the posters still last! New Titles from Nobrow Press!! 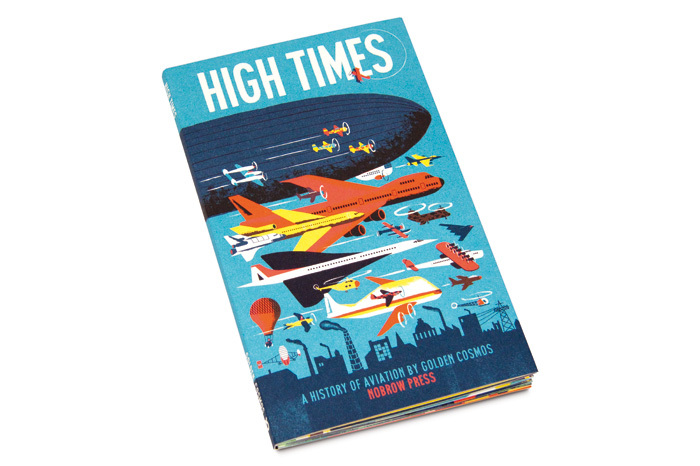 We have a bumper crop of books coming out this month from Nobrow Press, the latest of which is the beautiful, educational, and expertly designed High Times: A History of Aviation by Golden Cosmos. To see more visit our webshop for the new Nobrow Magazine, No Man’s Land and loads more amazing new releases! ELCAF this Sunday from 9.30 am to 9pm! It’s time to get excited as the first East London Comics and Arts Festival kick’s off this weekend on Sunday the 17th of June (9.30am-9pm at The Village Underground). Be prepared for an awesome day of workshops, high profile talks, portfolio surgeries, shopping, refreshments, food and if that wasn’t enough, a FREE 2 ACT CONCERT! Read more here and make sure you come to ELCAF, everyone will be there! RSVP on facebook and earn a chance to win a free Nobrow goodie bag! Please don’t RSVP unless you intend to come, you have to be there to pick up your prize if you are lucky enough to win it!